Allpro Fabricators and Erectors Inc. Welcome to Allpro Fabricators and Erectors Inc. 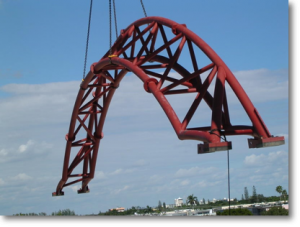 The leader in the fabrication and Erection industry for Dade, Broward and Palm Beach County since 1996. Our elite drafting department provides the most accurate and precise drawings for our fabrication department. 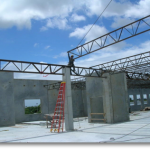 Journeymen and Ironworkers employed by Allpro Fabricators are some of the most experience in the Tri-County area as we strive for excellence and customer satisfaction. 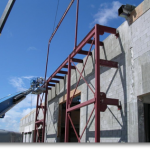 We specialize in the commercial industry where we offer services such as structural and miscellaneous steel. Our quality of service in the industry enables us to be held at a very high standard by our clients. We are highly skilled professional welders who specialize in all types of welding and fabrication. Industrial commercial and residential. We are licensed in all three counties Dade, Broward and Palm Beach. We are ABS and AWS certified and currently hold Minority business certification as well as certified by DADE,BROWARD and PALM BEACH school board district. Copyright © 2019 Allpro Fabricators and Erectors Inc.. All rights reserved.